The successful 3D printing crowdsourcing service makexyz recently went international. Through the API, customers can have objects that were designed in a distant country printed in their own neighborhood, thus skipping the whole shipping process. The service saves time and money by allowing anyone with a 3D printer to be paid to print locals’ orders. Pablo Arellano, CEO of a 3D object repository site called 3DLT, took notice of the great service and decided to partner with makexyz. 3DLT “provides content – the blueprints for 3D printable products. Consumers can visit 3DLT.com and browse through multiple, well-curated categories of 3D printable designs. Once purchased, they can download and print these files on their own 3D printer.” Partnering with makexyz allows customers to have someone that lives nearby print the goods. 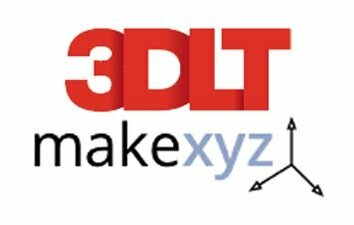 3DLT seems to be a lot like the Cubify Store, or a pay-for version of Thingiverse, only with way less models. I’m sure the selection will grow though. The arrangement also seems to require two transactions — one to buy the model and another to pay the person that prints it. Maybe they’ll get that combined.